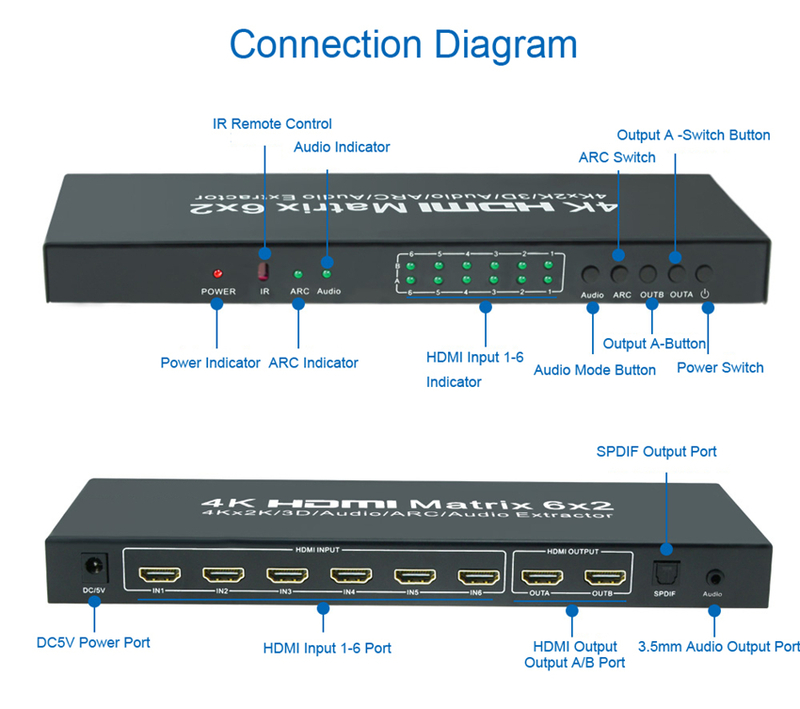 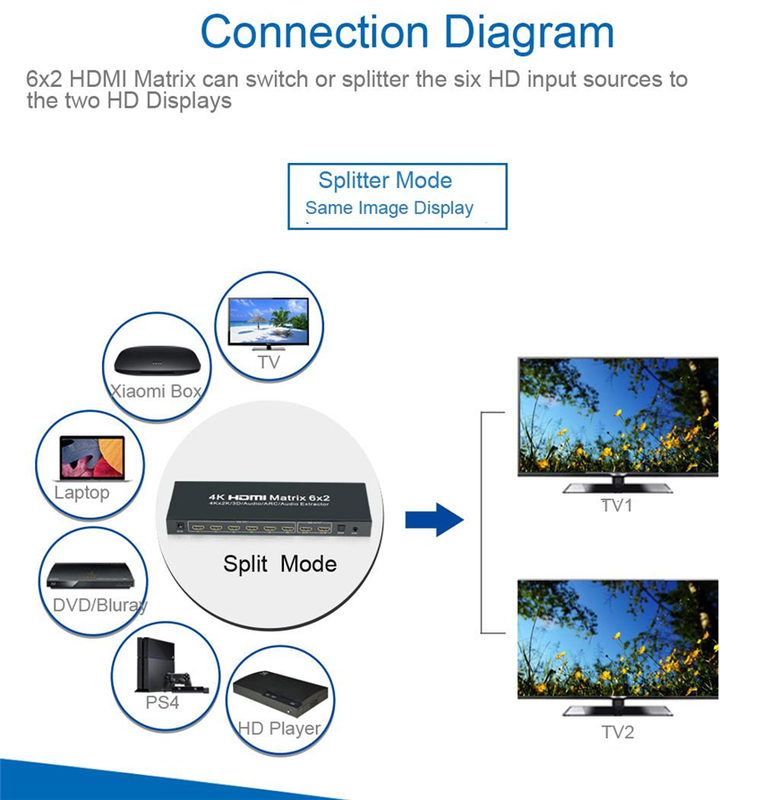 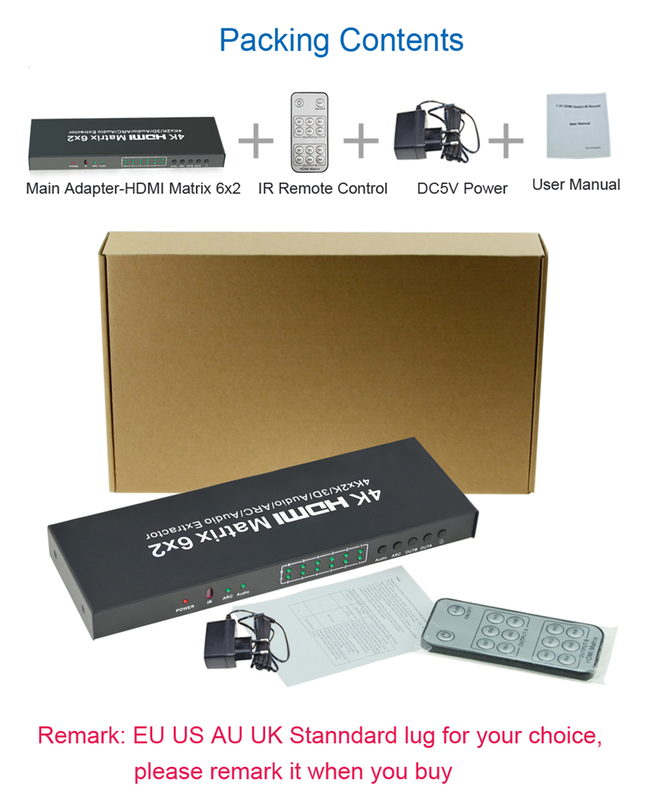 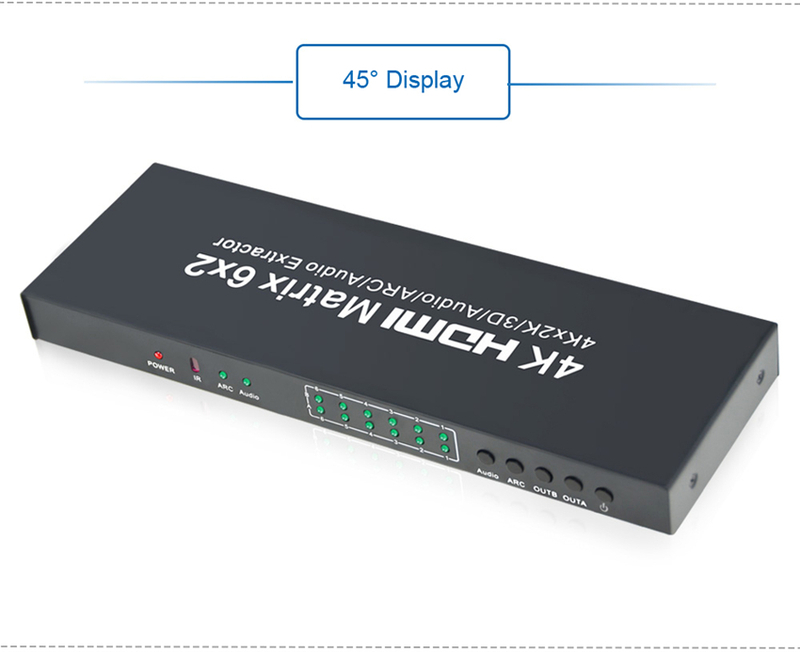 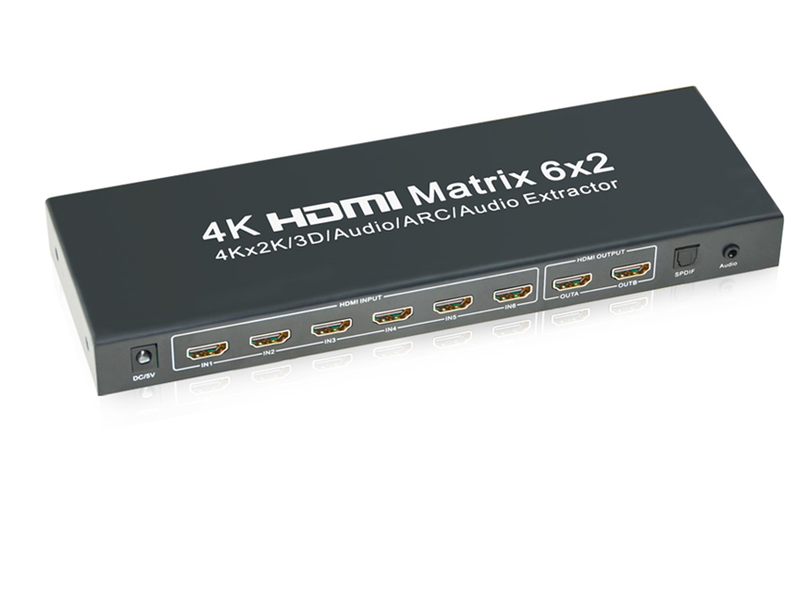 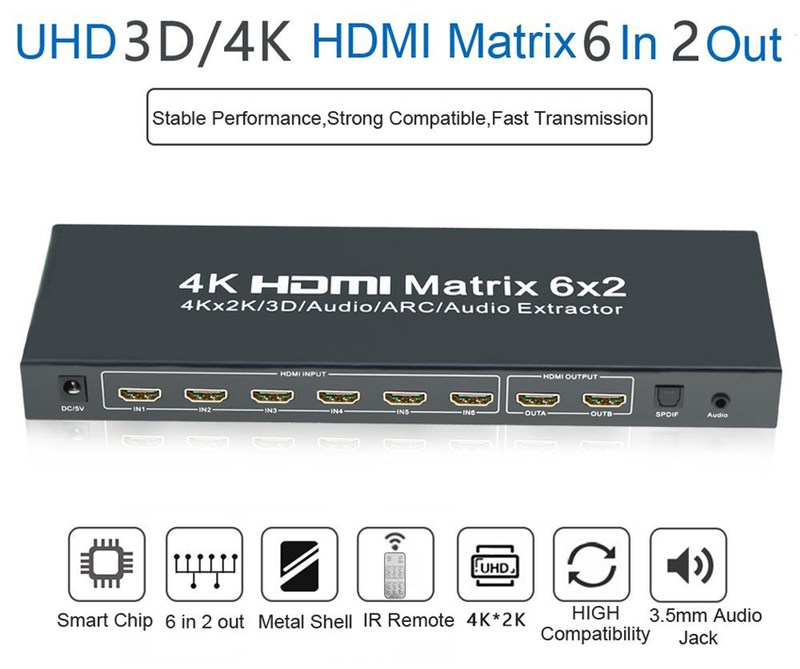 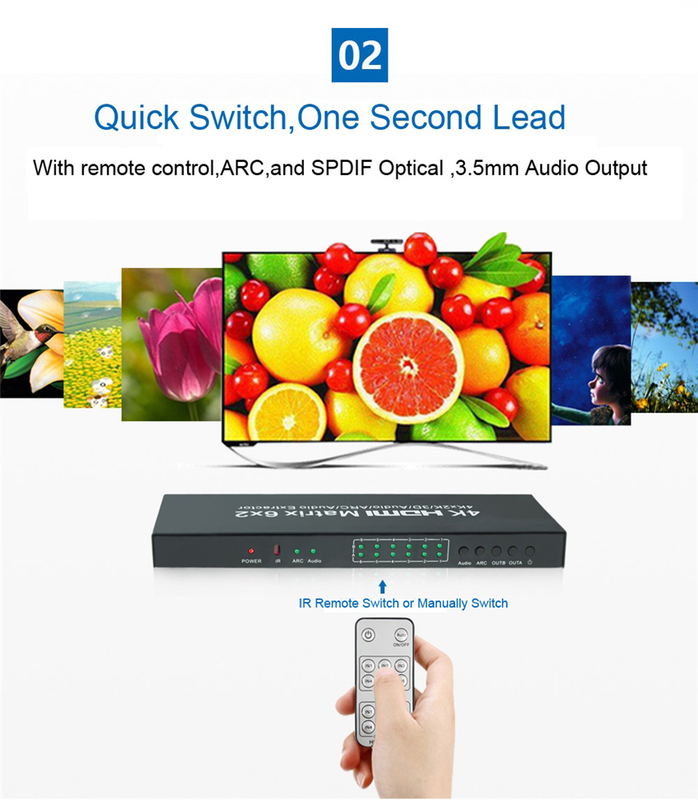 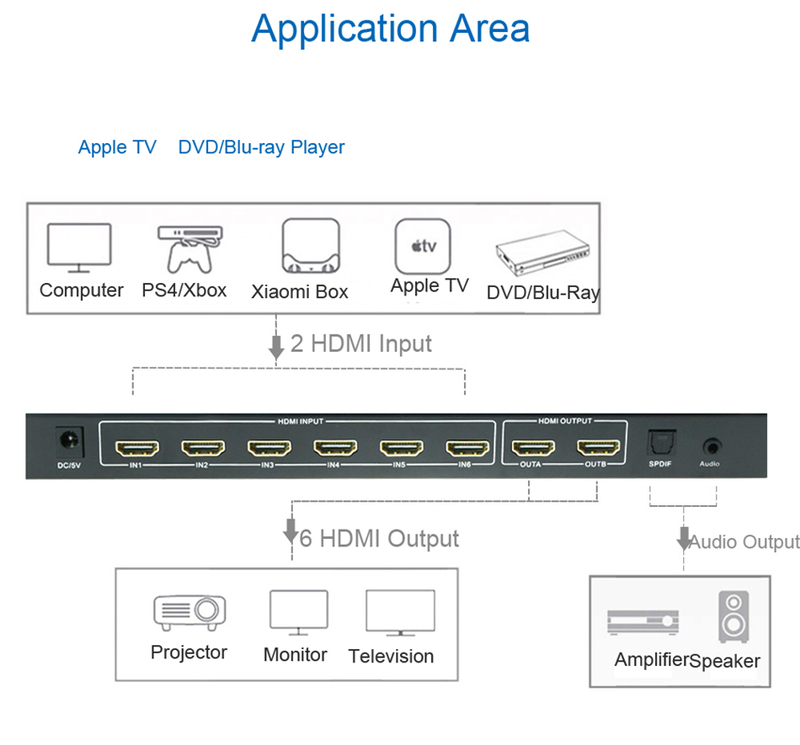 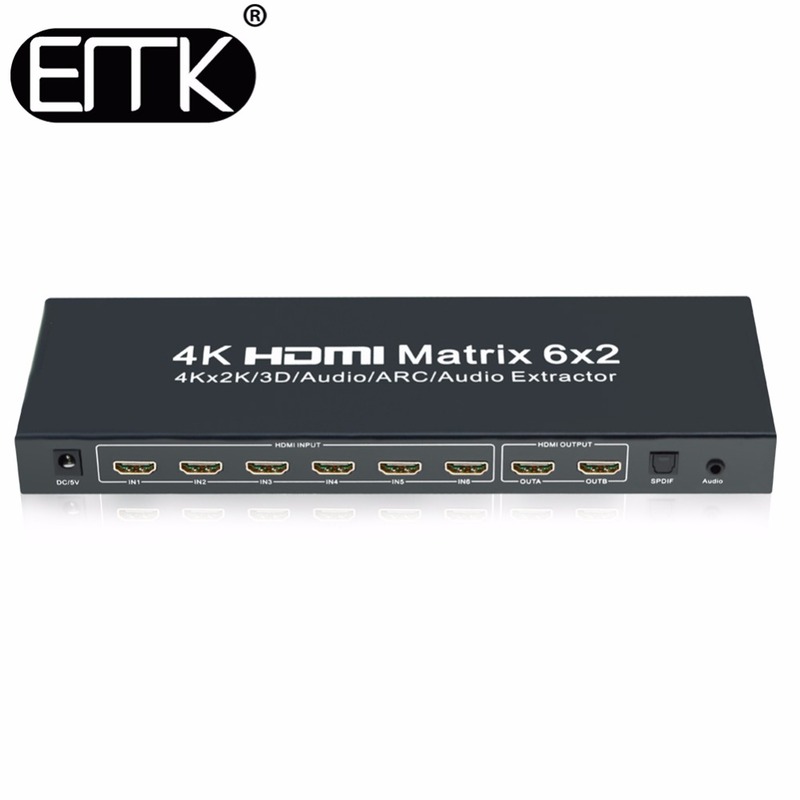 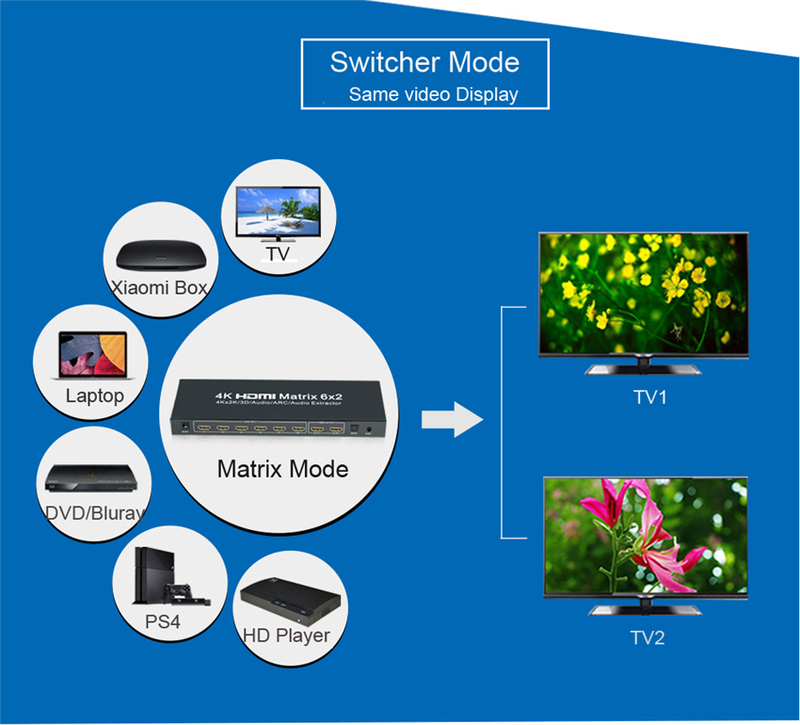 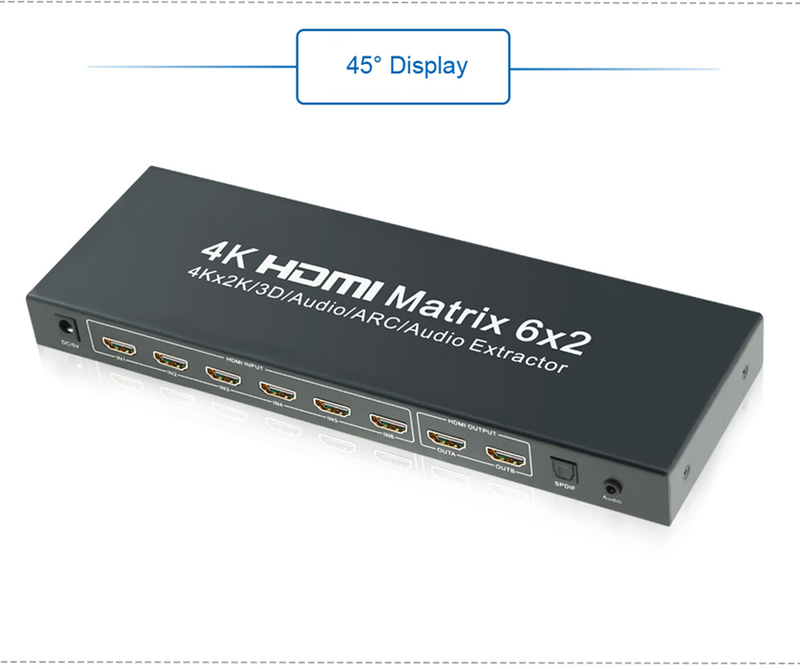 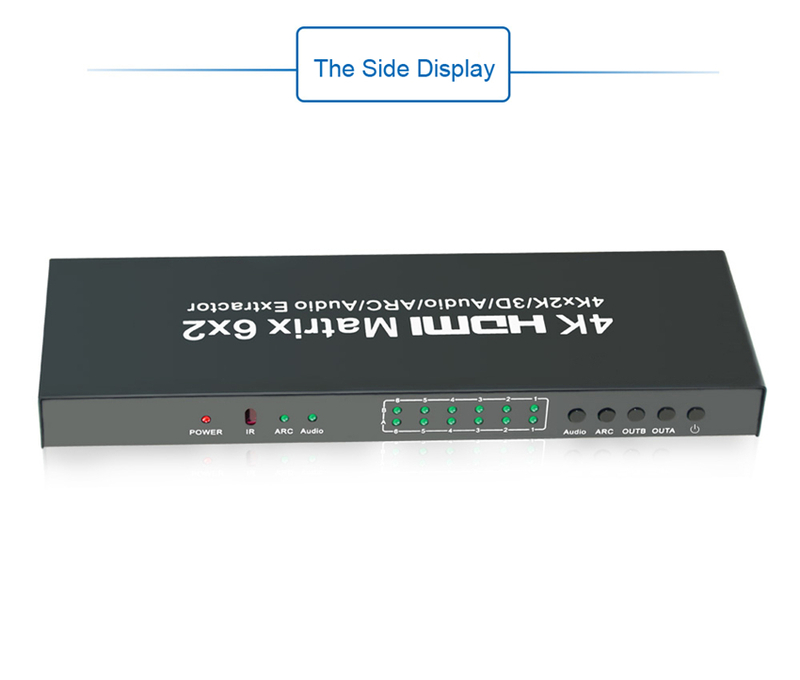 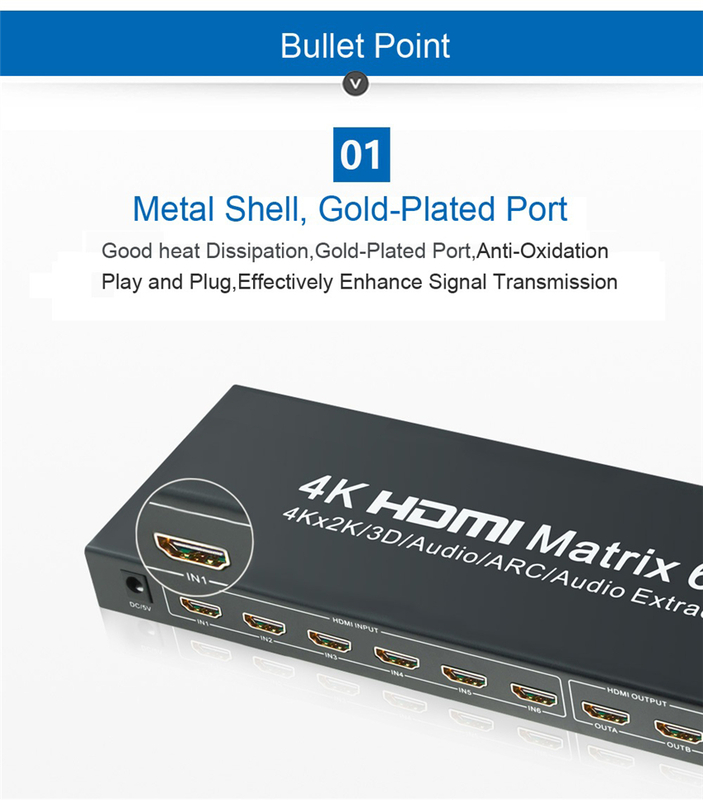 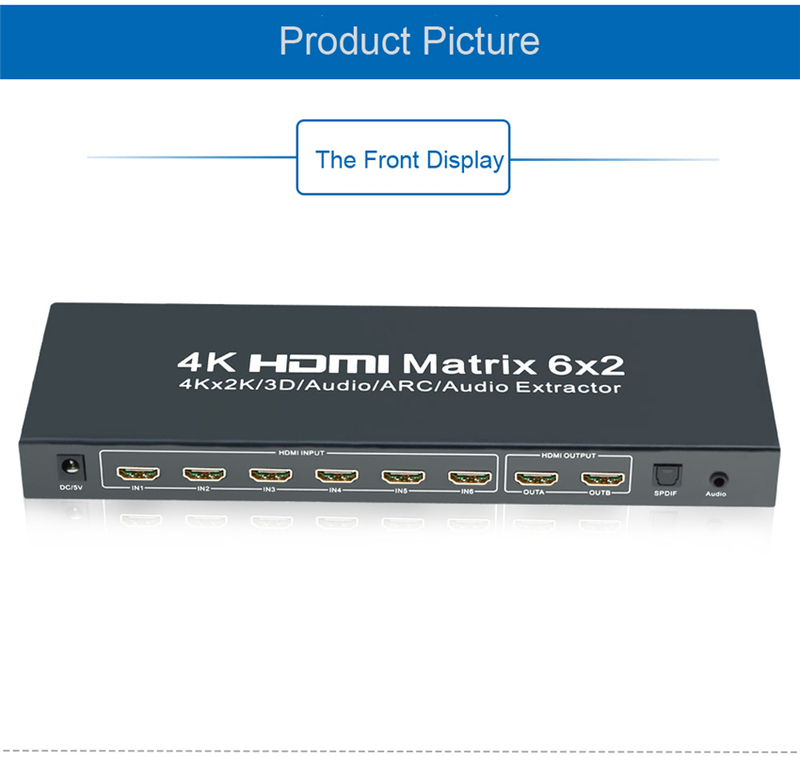 The 6×2 HDMI Matrix supports the feature of ARC, 4K and 3D, which can switch or splitter the six HD input sources to the two HD Displays. 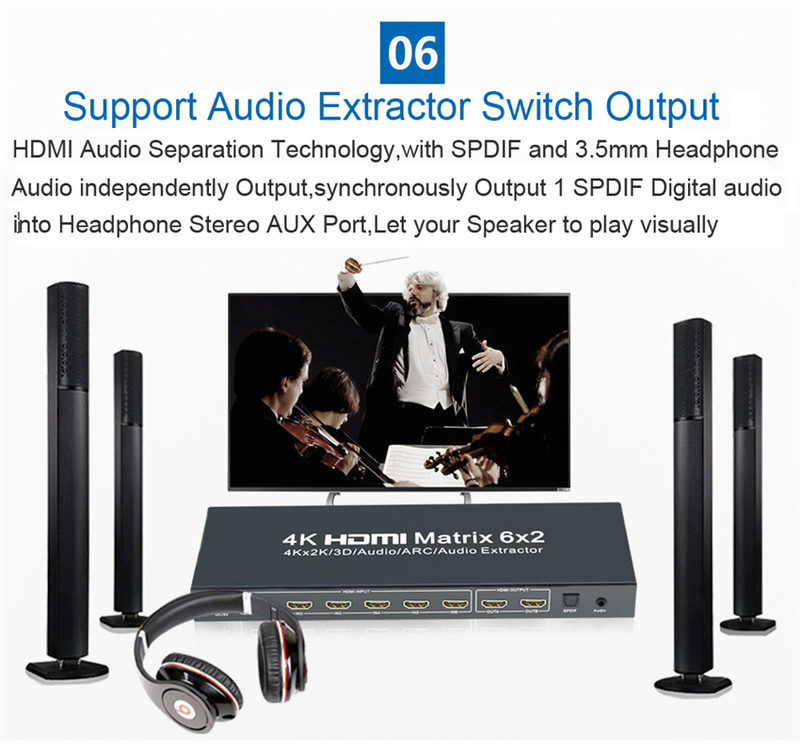 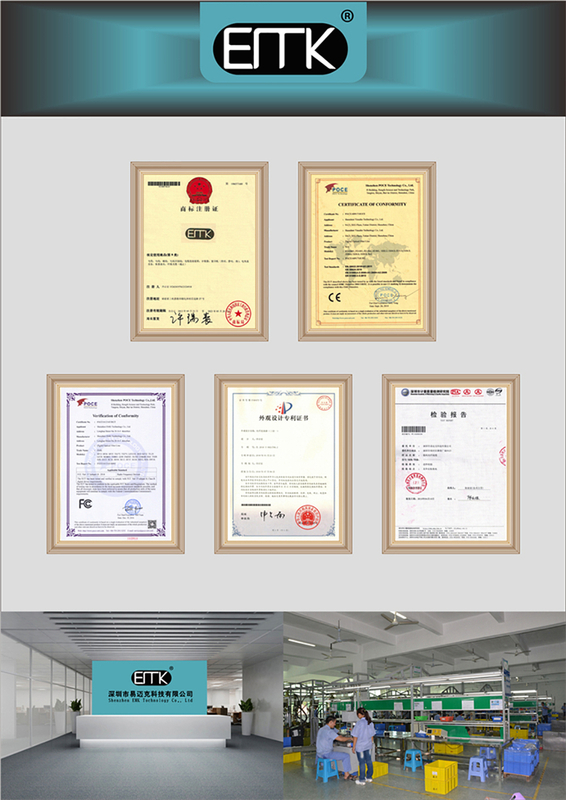 It also can do the audio extract by the Optical port or HP port. 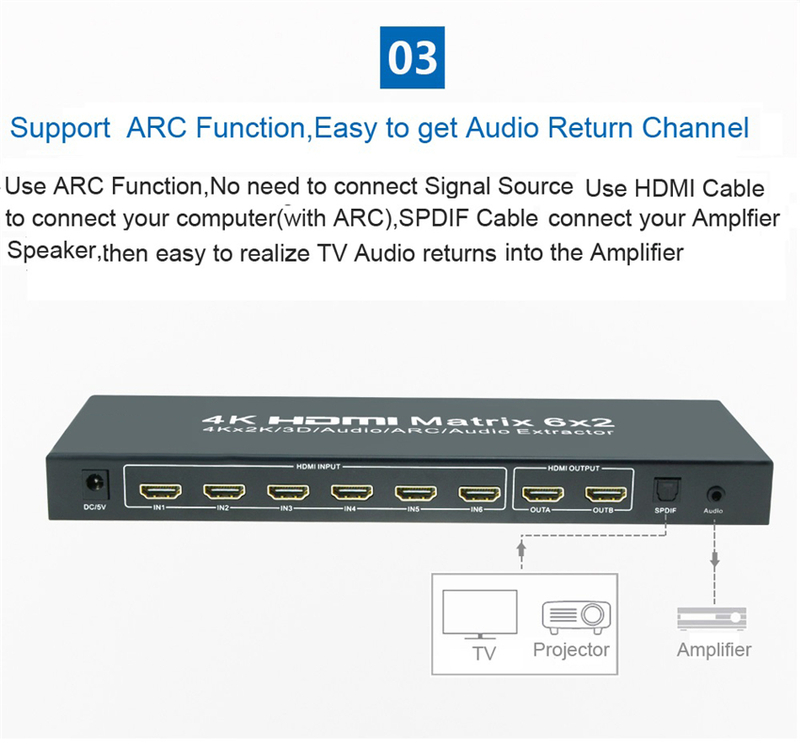 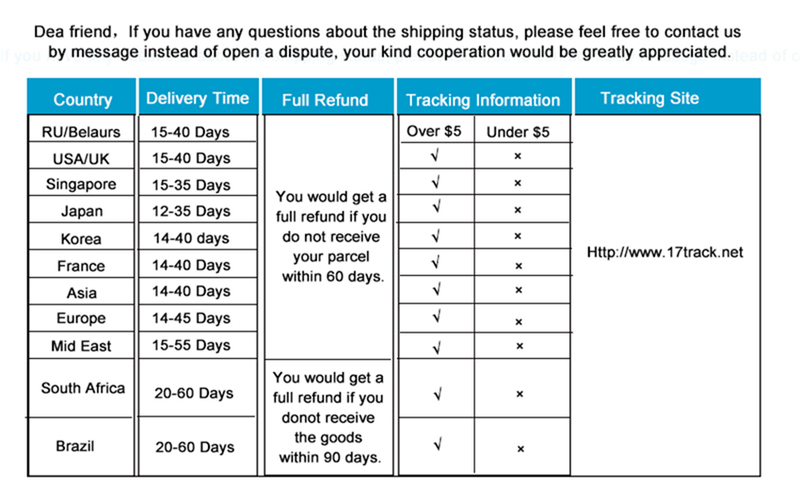 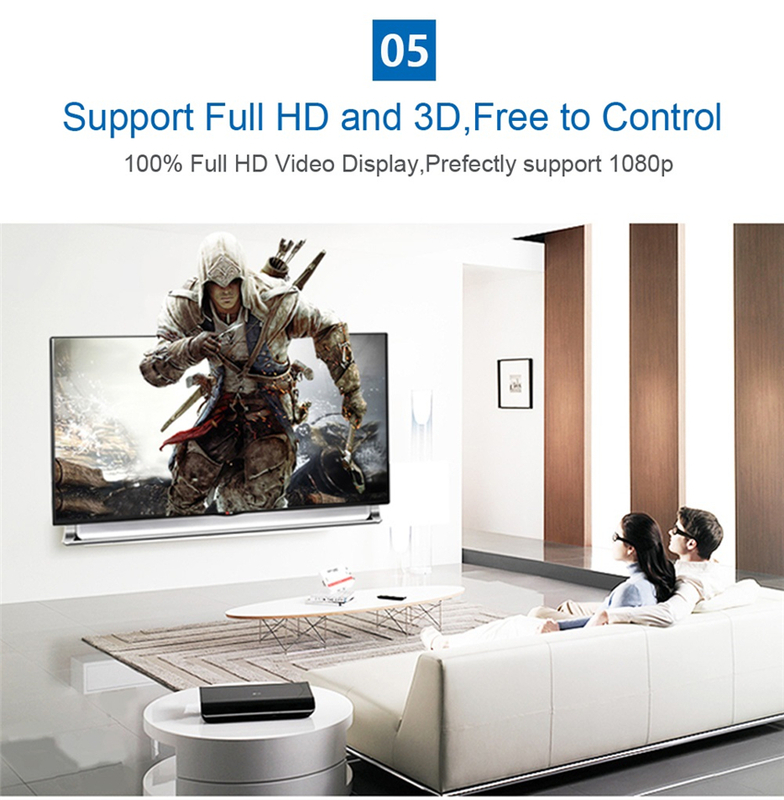 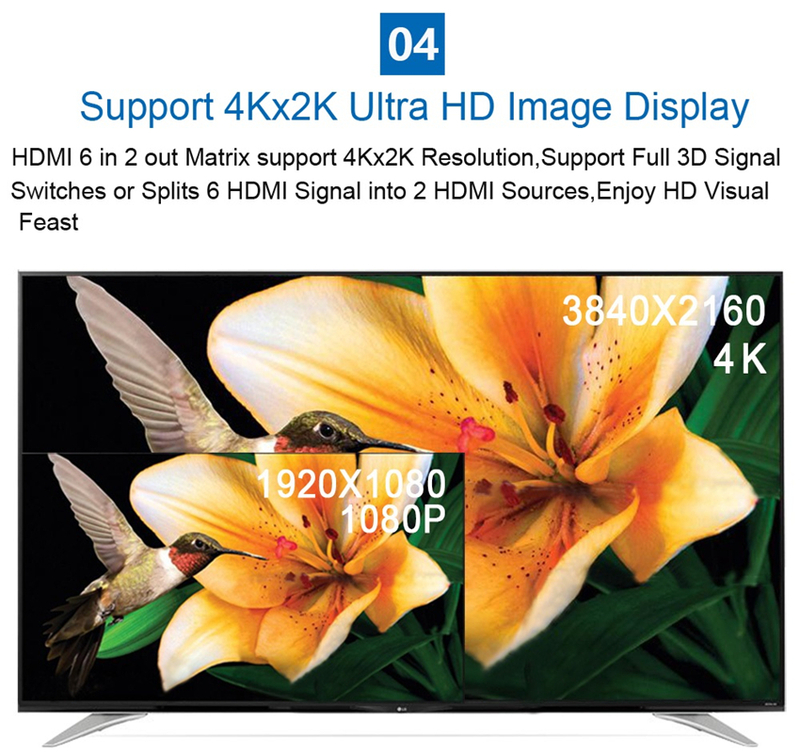 ARC feature can let you return your TV audio to the av receiver. 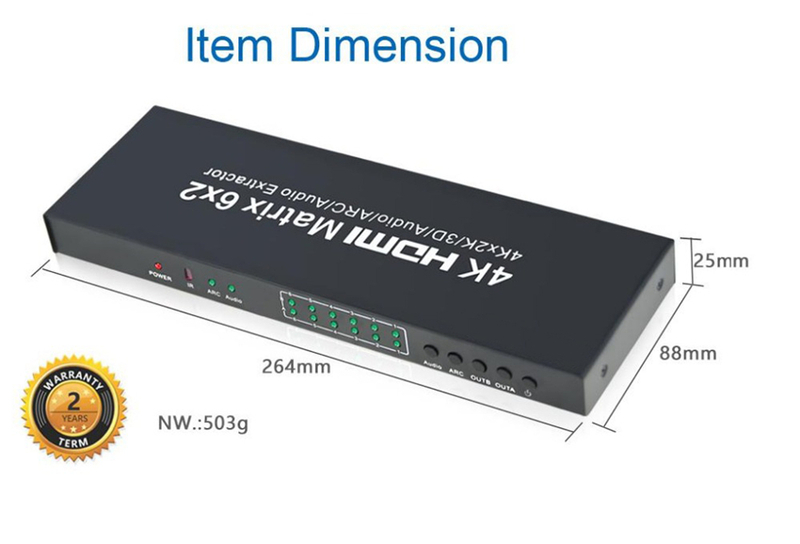 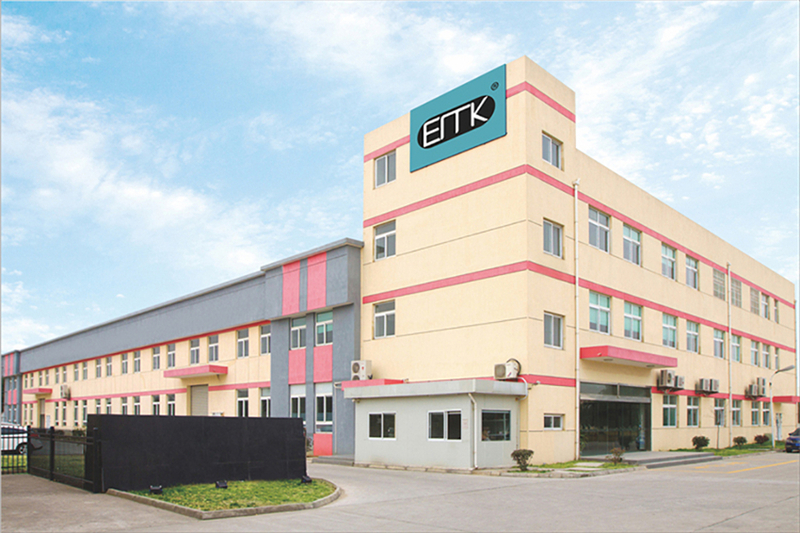 When source or sink is working, LED related will go bright.